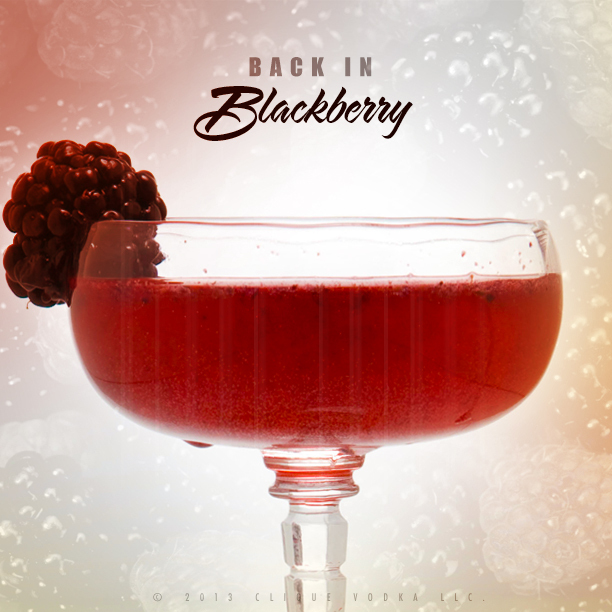 Toast National Vodka Day with this “Back in Blackberry” cocktail recipe! It’s here again- National Vodka Day! Accounting for almost 25% of liquor sales, vodka is still the most popular spirit in the United States since the 1970’s, and I can’t think of any better way to celebrate National Vodka Day than with a superb cocktail. 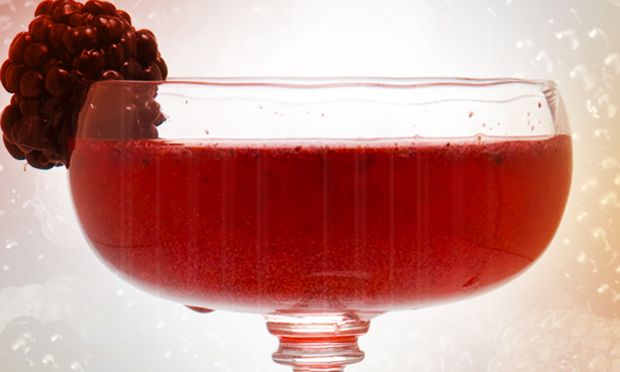 This recipe has all the necessities for a cocktail worthy of a great toast: simple to make and big on flavor, this “Back in Blackberry” cocktail is sure to be a hit any day of the year! In a cocktail tin, muddle 5 blackberries with 2 oz of Clique Vodka until you have a nice pulpy consistency. Add a scoop of ice, 1/4 oz simple syrup (that’s 1 part sugar dissolved in 1 part hot water) and shake, shake, shake it like you mean it. Strain into a chilled cocktail glass (either by popping it into the freezer for 5 minutes, or by filling it with ice and water for 30 seconds) and slowly top with your favorite Champagne or sparkling wine. To garnish, cut a small slice in a large blackberry and place it on the rim. 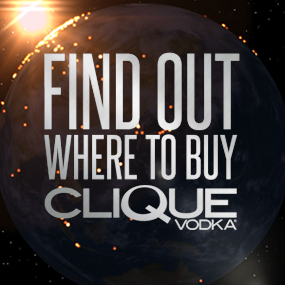 As if National Vodka Day isn’t reason enough to be sipping on Clique Vodka cocktails, why not sip a Clique Vodka cocktail with over 800 others? That’s right, over 800 people will be participating in our annual National Vodka Day toast today @ 6:00 pm EST and submitting photos to our #CliqueShots live feed! How do you join in on this massive National Toast? 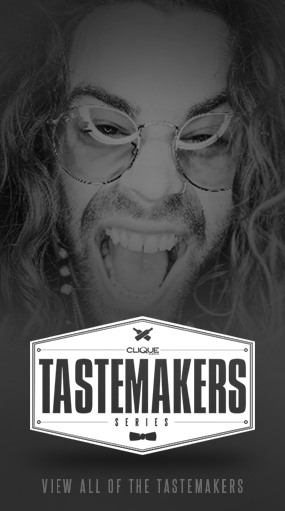 Simply grab a Clique Vodka cocktail, some friends, and toast National Vodka Day at 6pm EST today! Make sure you snap a pic on Instagram, and tag your friends and #Cliqueshots to show up on the live feed! If you want to get super creative with your toast, make sure to check out the Cocktail Creation 101 post for tips on how to integrate some basic techniques into your cocktails, plus slew of awesome recipe for inspiration!